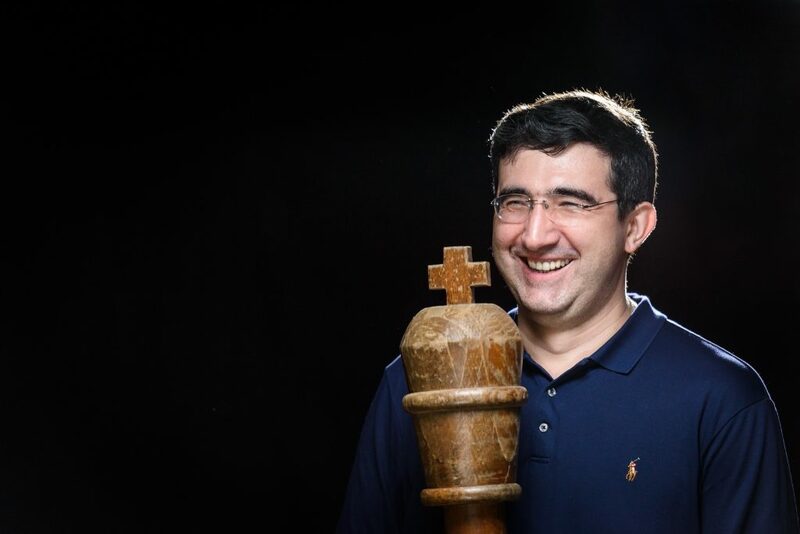 Fourteenth World Chess Champion Vladimir Kramnik (Russia) announced his retirement today at the conclusion of 2019 Tata Steel Masters. Kramnik was world champion from 2000 until 2007. He dethroned Garry Kasparov by beating him 8.5 – 6.5 in 2000. In 2007, he lost the title to Viswanathan Anand, who won the World Chess Championship 2007 tournament ahead of Kramnik. He challenged Anand at the World Chess Championship 2008 to regain his title but lost 6½ to 4½ (three wins to Anand, one win to Kramnik, seven draws). Nonetheless, he has remained a top player. “I already decided to finish my professional chess career a couple of months ago and now, after having played my last tournament, I would like to announce it publicly,” said the Russian Grandmaster.